This morning I just got that gut feeling. Turned on the camera, nothing in view, no sounds but I just knew. Went down right away and here she was, a new little ewe lamb! 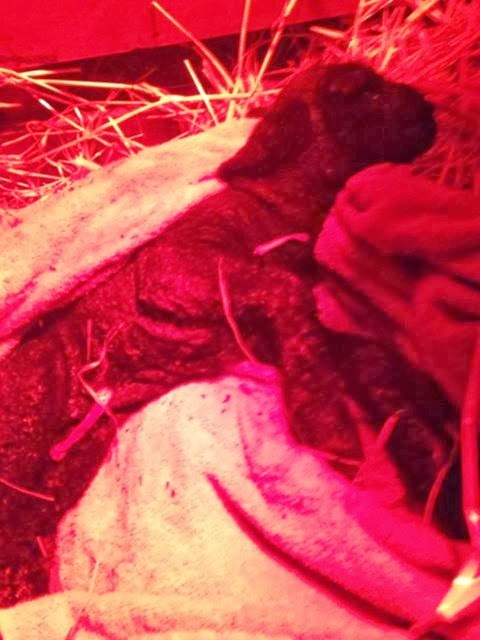 I think we need to change the name of this farm to "Black Lamb Farm"! Glad she's healthy and well! Welcome little one! Oh so cute, love the wee black lamb. Thanks for sharing your sweet one, Francine.